With vibrant illuminations dancing in the dark night skies, the Northern Lights attract visitors to Iceland from across the world—but finding the best views requires local knowledge. 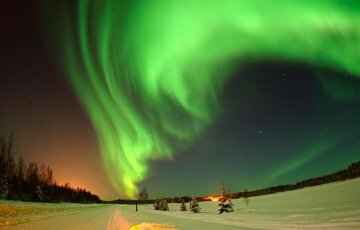 When your cruise ship docks in Reykjavik, delve into the countryside by comfortable minivan on a Northern Lights-spotting adventure. Escape the bright city glare as your guide chooses viewing locations based on the prevailing conditions, and admire the spectacular light show overhead.